I am conducting consulting work in Hawaii and always looking for interesting projects here, or elsewhere. Please contact me to discuss possible projects. My expertise is multidisciplinary but mainly falls into the fields of marine ecology and conservation, invasion biology, oceanography, community ecology, evolutionary biology, and limnology. Research questions of interest are both applied and theoretical. 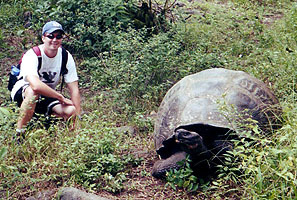 I have conducted research in Africa, Australia, Canada, U.S., and the Galapagos including manipulative field experiments complimented with broad-scale surveys to test theory and better understand drivers of large-scale patterns in nature. I endeavor to identify important biotic and abiotic factors controlling the diversity of an ecosystem in order to better inform managers and policy-makers. 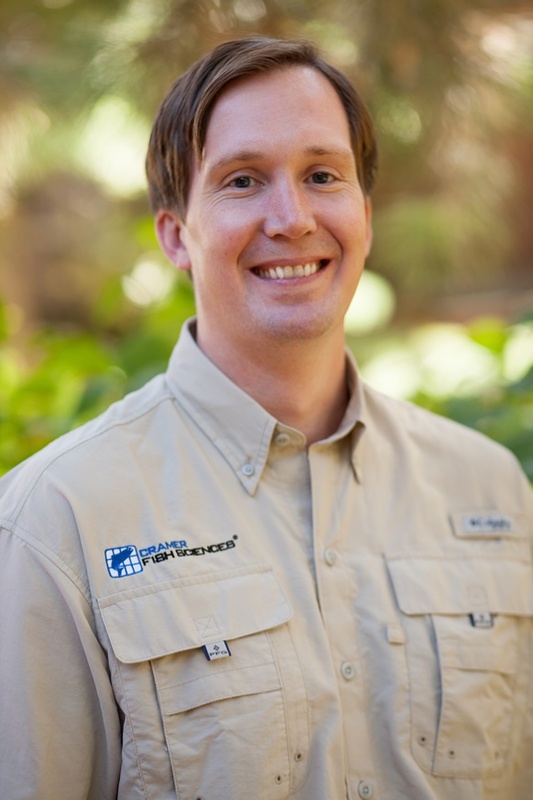 My research to date has focused on monitoring, managing and modeling the spread of invasive species. Invasive species are a global, daunting problem causing over $120 billion dollars of damage, each year, in the US alone. They are one of the leading causes for biodiversity loss and the number of invaders exponentially increases each year. I focus on marine invasive species, as marine invasion biology lags behind its counterparts in terrestrial and aquatic systems. I have used the Asian shore crab (Hemigrapsus sanguineus) and European green crab (Carcinus maenas) as model organisms. This research was mainly conducted from New Jersey to Maine, USA. More recently, I expanded my research to tunicates by studying the invasion of the vase tunicate (Ciona intestinalis), which threatens the multimillion dollar mussel industry of Prince Edward Island, Canada. I also studied the biology, ecology, and conservation of sharks, rays, and skates in South Africa and manta rays, nudibranchs, and ecotourism in Mozambique. <<< Download my Full CV, or a brief CV is here. 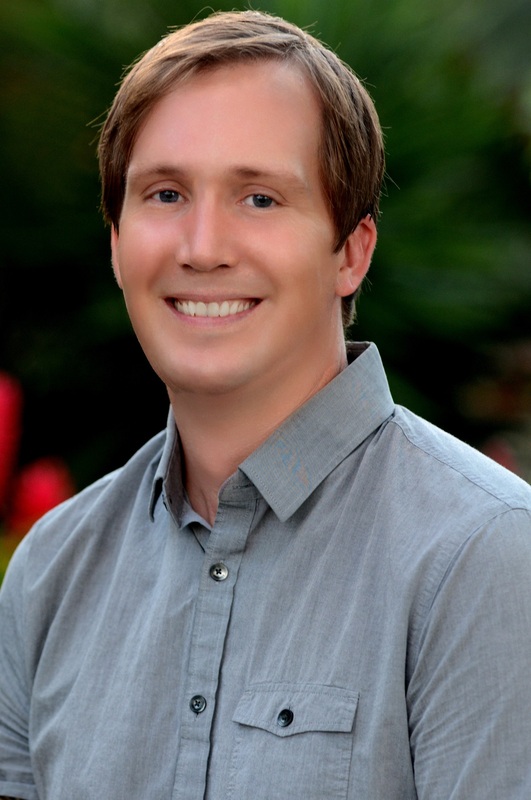 President and Senior Scientist: Delaney Aquatic Consulting, Honolulu, Hawaii, U.S.A. Dec. 2015-pres. Post-doctoral Researcher: University of Hawaii, Honolulu, Hawaii, U.S.A. Apr. 2016-Apr. 2017. Prepared a successful grant proposal for funding from N.O.A.A. Delaney, D.G., Teneva, L.T., Stamoulis, K.A., Giddens, J.L., Koike, H., Ogawa, T., Friedlander, A.M., and Kittinger, J.N.. Patterns in artisanal coral reef fisheries revealed through local monitoring efforts. PeerJ. Available at: https://peerj.com/articles/4089. Merz, J.M., Delaney, D.G., Setka, J.D., and Workman, M.L. 2016. Seasonal rearing habitat in a large Mediterranean-climate river: management implications at the southern extent of Pacific salmon (Oncorhynchus spp.). River Research and Applications. 32(6): pp 1220–1231. DOI: 10.1002/rra.2969. PDF. Joseph E. Merz, Paul S. Bergman, Joseph L. Simonis, David Delaney, James Pierson, Paul Anders. 2016. Long-Term Seasonal Trends in the Prey Community of Delta Smelt (Hypomesus transpacificus) Within the Sacramento-San Joaquin Delta, California, Estuaries and Coasts pp 1-11. DOI: 10.1007/s12237-016-0097-x PDF. Delaney, D.G., Cavallo, B., Bergman, P.S., Hinkelman, T., and Courter, I. 2015. A life-cycle model for partially anadromous rainbow trout in Battle Creek, California: Model documentation. Delaney, D.G., Bergman, P., Cavallo, B.J., and Melgo, J. 2014. Stipulation Study: Steelhead Movement and Survival in the South Delta with Adaptive Management of Old and Middle River Flows. Delaney, D.G., Bergman, P., Cavallo, B.J., and J. Melgo. 2013. Phase II Data Analysis Plan for the Acoustic Telemetry Stipulation Study (for the Salmonid Mark-Recapture Study). The document was reviewed by representatives from the California Department of Water Resources, N.O.A.A. National Marine Fisheries Service, Bureau of Reclamation, U.S. Fish and Wildlife Services, and the Westlands Water District. Delaney, D.G. 2009. Monitoring and managing the spread of marine introduced species: development of approaches and application to the European green crab (Carcinus maenas) and the Asian shore crab (Hemigrapsus sanguineus). Ph.D. dissertation, McGill University, Montreal, Quebec, Canada. Delaney, D.G., Teneva, L.T., Stamoulis, K.A., Giddens, J.L., Koike, H., Ogawa, T., Friedlander, A.M., and Kittinger, J.N. Patterns in artisanal coral reef fisheries reveal best practices for monitoring and management. Available at: https://peerj.com/preprints/3076v1/. De Carlo, E.H., and Delaney, D.G. Resource management, water quality, and biological monitoring plan for Maunalua Bay, O'ahu, Hawai'i Artificial Reef Project. Delaney, D.G., Cunningham, D., and De Carlo, E.H. 2016. Benthic study report. 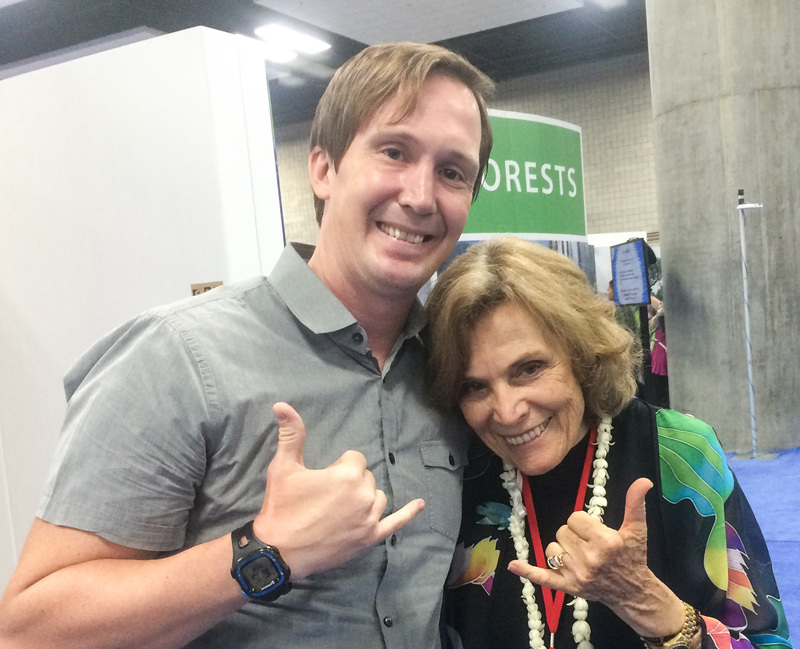 Prepared for Hawai'i Memorial Reefs and permitting agencies (e.g. Hawai'i Department of Land and Natural Resources [D.L.N.R. ], U.S. Environmental Protection Agency [U.S.E.P.A. ], N.O.A.A., U.S. Army Corps of Engineers [U.S.A.C.E. ], and U.S.F.W.S.). Delaney, D.G., and Cunningham, D. 2015. 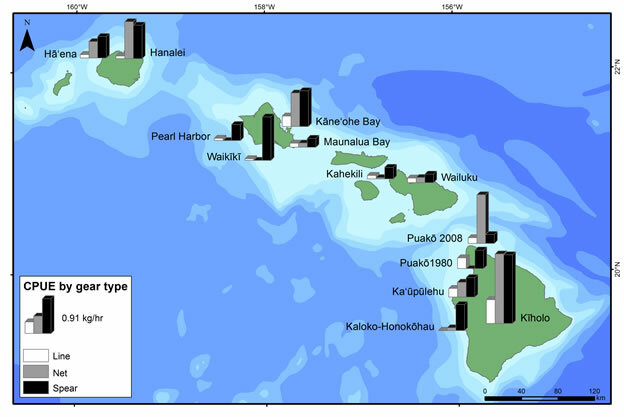 Benthic study report for a proposed artificial reef permit area in Maunalua Bay, Oahu. 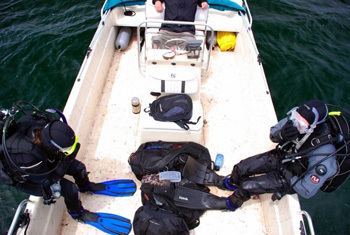 Prepared for Hawai'i Memorial Reefs. Bergman, P., Delaney, D.G., Merz, J.E., and Watry, C. 2014. A Pilot Mark-Recapture Study using Spot Patterns of Oncorhynchus mykiss in the Stanislaus River, California. Technical report for Bureau of Reclamation. Delaney, D.G., Bergman, P., Cavallo, B.J., and Melgo, J. 2014. Review of comments and author responses on the November 2013 Draft of the stipulation study. 125 pages. Delaney, D.G. 2012. Shark feeding dives - A shark expert's opinion on a controversial practice. About.com: the reference website for the New York Times Company. Delaney, D.G. 2011. Is Scuba Diving With Sharks Dangerous? About.com: the reference website for the New York Times company. Delaney, D.G. 2011. 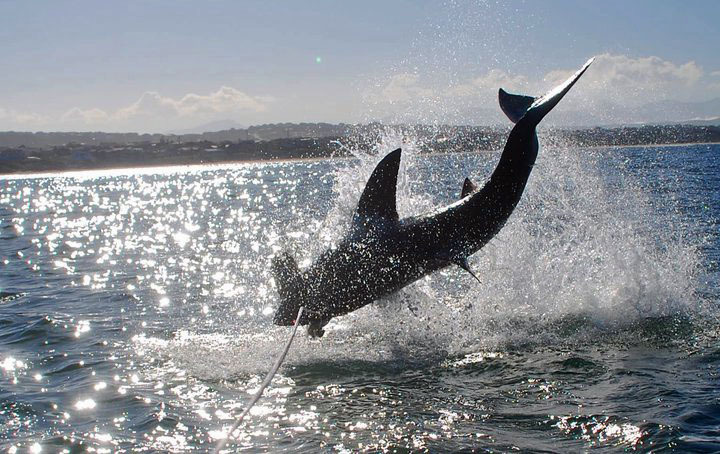 Striving to save sharks in South Africa. Dedham Country Day Bulletin. Delaney, D.G. 2009. Report on the European green crab, Carcinus maenas. Center for Agricultural Bioscience International Invasive Species Compendium. Delaney, D.G. 2007. In the Spotlight: The Marine Invasive Species Monitoring Organization. 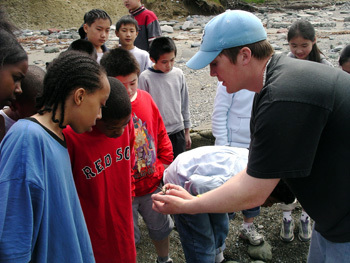 The National Institute of Invasive Species Science Citizen Science Newsletter. Delaney, D.G. 2006. Meet the scientists. National Sea Grant’s Nab the Aquatic Invader Website. Delaney, D.G. 2005. Asian shore crab spreads north. 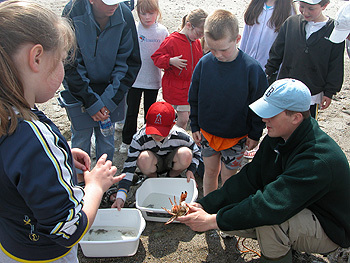 The Massachusetts Office of Coastal Zone Management Newsletter (C.Z. Mail). Delaney, D.G. and Solecki, A. 2005. Citizen science as a solution to invasive species. 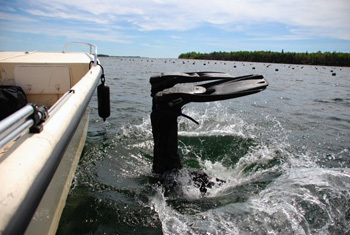 Gulf Stream Newsletter: A publication of the Gulf of Maine Marine Educators’ Association. Asian Carp in the Great Lakes Region. A summary report for Members of the U.S. Congress. Buck, E.H., Upton, H.F. and Stern, C.V. In Press. Congressional Research Service. 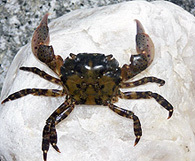 Risk assessment for the Chinese mitten crab (Eriocheir sinensis) and the European green crab (Carcinus maenas) in Canadian waters. 2010. Therriault, T.W., Herborg, L.M., Locke, A. and McKindsey, C.W. Fisheries and Oceans Canada. Identifying significant range extensions of invasive marine pests – C.C.I.M.P.E. Range Decision Guidelines Project. Darbyshire, R. and Caley, P. 2009. Australian Government’s Bureau of Rural Sciences. Marine Pest Incursions – A tool to predict the cost of eradication based on expert assessments by Crombie, J., Knight, E. and Barry, S. 2007. Australian Government’s Bureau of Rural Sciences. 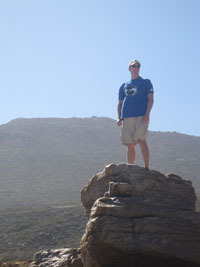 SHARKS: My current research interests are topics in the field of marine biology and conservation. I am currently focusing on the biology, ecology, and conservation of elasmobranch fishes (sharks, rays and skates), applied fisheries biology, and physiological ecology of fishes. More specifically: 1) tracking the abundance and residency of white sharks (Carcharodon carcharias) and bull sharks (Carcharinus leucas) using acoustic telemetry and photo identification; 2) devising strategies to reduce the mortality of released elasmobranch fishes by recreational fishermen and discarded bycatch in commercial fishing operations; 3) documenting diurnal and weekly movement patterns of C. carcharias; and 4) identifying ways to minimize human-shark interactions by understanding the patterns of daily activities for both groups. This information will further research on the species and guide management of elasmobranch fishes, which is critically important since tens of millions are killed every year for consumptive (e.g., meat, shark fin cartilage) and non-consumptive reasons (e.g., their jaws, teeth, or simply a picture of them). Therefore my research answers both pure and applied research question and directly relates to a current global environmental problem. CORAL REEF FISH: Sustainable fisheries management is key to restoring and maintaining ecological function and benefits to people, but it requires accurate information about patterns in resource use, particularly fishing pressure. In most coral reef fisheries and other data-poor contexts, obtaining such information is challenging and remains an impediment to effective management. 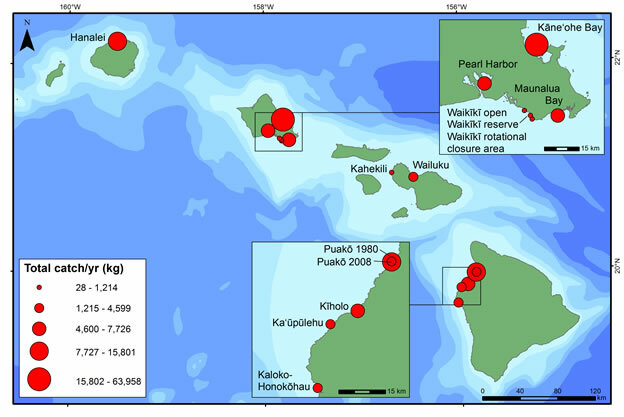 We developed the most comprehensive regional view of shore-based fishing effort and catch for the Hawaiian Islands to show detailed fishing patterns from across the main Hawaiian Islands (MHI). We reveal these regional patterns through fisher “creel” surveys conducted through collaborative efforts by local communities, state agencies, academics, and environmental organizations, at 18 sites and comprising >10,000 hr of monitoring across a range of habitats and human influences throughout the MHI. Here, we document spatial patterns in nearshore fisheries catch, effort, catch rates (i.e., catch-per-unit-effort [CPUE]), and catch disposition (i.e.,use of fish after catch is landed). Line fishing was consistently the most commonly employed gear type (94%), followed by net fishing. The most efficient gear types (i.e., higher CPUE) were spear (0.64 kg hr-1), followed closely by net (0.61 kg hr-1), with CPUE for line (0.16 kg hr-1) 3.9 times lower than spear and 3.7 times lower than net. Creel surveys also reveal rampant illegal fishing activity across the studied locations. 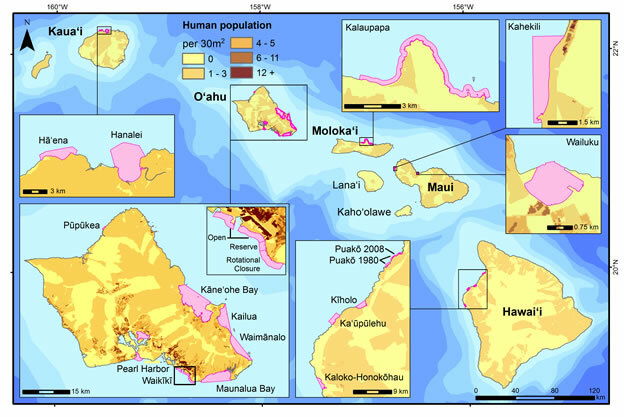 Surprisingly, overall, most of the catch was not sold, but rather retained for home consumption or given away to extended family, which indicates that cultural and food security may be stronger drivers of fishing effort than commercial exploitation for nearshore coral reef fisheries in Hawai‘i. Increased monitoring of spatial patterns in nearshore fisheries can inform targeted management, in order to maintain these fisheries for local communities’ food security, cultural, and ecological value. Figure 1. Survey sites where creel and/or fish flow surveys were conducted and included in this study are shown in pink. Figure 2. Shore-based fishing effort by gear type. Figure 3. Total catch per year (kg) at each site. Figure 4. Catch-per-unit-effort (CPUE - kg hr-1) for the three dominant shore-based fishing gears (line, net, and spear) by survey location. CRABS: As widely distributed organisms, Carcinus maenas and Hemigrapsus sanguineus were logical choices for this new type of study and validation towards yielding the data needed for the progress of marine invasion ecology. Carcinus maenas has invaded the coasts of North America, South Africa, Australia, South America and other places outside of its native range of the Atlantic coast of Europe and possibly northwest Africa. Carcinus maenas was presumably brought to the Atlantic coast of North America, in 1817, with solid ballast. By 1989, it started colonizing the Pacific coast of North America starting in San Francisco Bay. It was transported accidentally from the east coast by activities associated with the live food and bait trade. Establishment and persistence in these various environments is likely facilitated by its omnivorous feeding strategy and its ability to tolerate a wide range of temperatures and salinities. A single brood of C. maenas can contain 185,000 - 250,000 eggs. High fecundity and the characteristics of a generalist allow C. maenas to inhabit a diverse range of marine ecosystems and therefore, reduce beta-diversity. Similarly, H. sanguineus is a generalist, an omnivore, and a highly invasive brachyuran crab. Hemigrapsus sanguineus is native to the western Pacific but has colonized multiple locations in Europe and during 1988 it was first detected on the eastern coast of North America, in New Jersey. Traffic of foreign cargo vessels was presumably the vector that brought the Asian shore crab to North America. In its native range, H. sanguineus inhabits waters that range from above 30 to below 5 oC. With a high fecundity in the form of multiple broods of up to 60,000 eggs each breeding season, H. sanguineus has expanded its invasive range along the eastern coast of the United States, and has colonized from Oregon Inlet, North Carolina to Schoodic Peninsula, Maine. Association for the Sciences of Limnology and Oceanography's Aquatic Sciences Meeting. February, 2017. 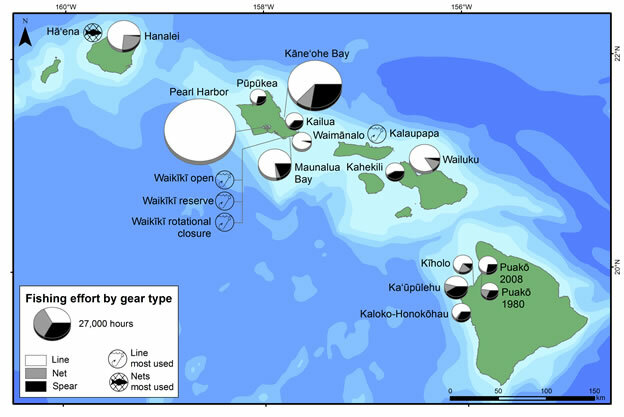 Creel surveys as tools for more effective monitoring and management of coastal fisheries and seafood security in Hawai'i. Also, I organized and chaired the contributed oral session on fish. Hawai'i Memorial Reefs. 2016. The potential for artificial reefs in Bermuda. China's Institute of Hydrobiology and Academy of Sciences. 2015. Monitoring, managing, and modeling the spread of marine invasive species. California‐Nevada Chapter of the American Fisheries Society 48th annual conference. 2014. Challenges of predicting the movement of juvenile steelhead in the Sacramento‐San Joaquin Delta. 8th Biennial Bay-Delta Science Conference. 2014. The importance of identifying and quantifying fish behaviors to predict the migration rate of juvenile salmonids. Mossel Bay Marine Laboratory Presentation Series. 2012. Global ocean conservation. Mossel Bay Marine Laboratory Presentation Series. 2011. Marine issues facing South Africa. United States Fish and Wildlife Service's National Chinese Mitten Crab Workshop. 2010. Lessons from research on the European green crab and Asian shore crab for national monitoring. 16th International Conference on Aquatic Invasive Species. 2009. Application of citizen science and search theory to optimally detect a species at low density. Canadian Society for Ecology and Evolution Annual Meeting. 2008. False negatives: Exactly how reliable is presence-absence data? Also I chaired a session of oral presentations on the topics of theoretical ecology. Fifth International Conference on Marine Bioinvasions. 2007. Are citizen scientists the solution to early detection? Canadian Conference for Fisheries Research and Society of Canadian Limnologists. 2007. To detect or not to detect: Do ecologists properly interpret survey data? 90th Ecological Society of America annual meeting. 2005. Predicting discrete secondary spread of aquatic invasive species, which won the E.C. Pielou Award for the best oral presentation on statistical ecology. Also, I chaired the contributed oral session on invasive species of the Great of Lakes of North America. Conservation International. 2017. Where reefs are restaurants, challenge is keeping them stocked. Available at: https://blog.conservation.org/2017/12/where-reefs-are-restaurants-challenge-is-keeping-them-stocked/. Wall Street Journal. 2016. Attention Baby Boomers: Would you like to spend eternity beneath the ocean by Alejandro Lazo. ResearchSA. 2012. Ocearch - Sharkmen permits reissued after no link found between research and fatal shark attack. BioScience. 2008. Jeffrey P. Cohn. Citizen science: Can volunteers do real research? BBC News. 2004. Galapagos tortoises held hostage - More than 30 scientists and several giant tortoises are being held hostage by striking fishermen in the Galapagos Islands.